Jamie Jewett is a choreographer, filmmaker, and new media artist who directs Lostwax Multimedia Dance. He creates hardware and software systems for use in live performance. He is an Associate Arts Professor of Dance and New Media at NYU/Tisch. 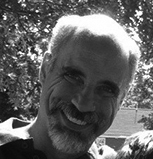 Previously he was the Director of Dance at the College of Morris in NJ and a Professor in the Masters program in Sound, Image, and the Body at E.M.A. Fructidor in France. 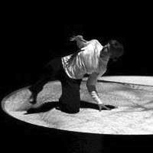 Jamie was the 2012 State of Rhode Island Choreographic Fellow, and recent works have been seen at the New Genre Festival (OK), Ringling Museum (FL), Here (NYC), Danspace (NYC), the Atlas Institute (CO), Boston Cyberarts (MA), and FirstWorks (RI) as well as London, Amsterdam, Dijon, and Vancover. Dr. Jewett has been awarded multiple fellowships, commissions, and grants including being named the 2012 State of Rhode Island Choreographic Fellow. Dr. Jewett has been an artist in residence at HERE Center for the Arts in New York, at STEIM in Amsterdam, and at the Perishable Theater. Lostwax has been voted the best dance company in Rhode Island by readers of the Providence Phoenix. Aaron Henderson’s videos and installations examine the ways that humans move. Recent projects look at the personal, cultural and political ramifications of all action, from intimate gestures to displays of super-human acrobatics. Well acquainted with movement, he threw himself into walls and off of platforms for STREB Extreme Action, an acrobatic performance company from 2002-6. His videos, installations and projection designs have been presented at Lincoln Center, the Wexner Center and across the country. These projects were aided by NYSCA and Creative Capital MAP grants. Currently, he is an Assistant Professor in the Studio Arts at the University of Pittsburgh. R. Luke DuBois is a composer, artist, and performer who explores the temporal, verbal, and visual structures of cultural and personal ephemera. He holds a doctorate in music composition from Columbia University, and has lectured and taught worldwide on interactive sound and video performance. He has collaborated on interactive performance, installation, and music production work with many artists and organizations including Toni Dove, Matthew Ritchie, Todd Reynolds, Michael Joaquin Grey, Elliott Sharp, Michael Gordon, Bang on a Can, Engine27, Harvestworks, and LEMUR, and was the director of the Princeton Laptop Orchestra for its 2007 season. An active visual and musical collaborator, DuBois is the co-author of Jitter, a software suite for the real-time manipulation of matrix data. He appears on nearly twenty-five albums both individually and as part of the avant-garde electronic group The Freight Elevator Quartet. DuBois has lived for the last fifteen years in New York City. He is the director of the Brooklyn Experimental Media Center at NYU’s Polytechnic Institute. His records are available on Caipirinha/Sire, Liquid Sky, C74, and Cantaloupe Music. His artwork is represented by bitforms gallery in New York City. Elise Morrison received her PhD in Theater and Performance Studies at Brown University in 2011. Currently a Mellon Postdoctoral fellow in Interdisciplinary Performance Studies at Yale University, she writes and teaches about surveillance technologies and their theatrical uses in art-making and everyday life. She has published in the International Journal of Performance Arts and Digital Media, TDR, and Theater Magazine, as well as in several edited volumes. Her book, Discipline and Desire: Surveillance technologies in performance is under contract with University of Michigan Press. As a performing artist, Elise has created a number of surveillance art pieces for performance in Providence, Boston, and New York; in addition to Zoologic, she has been developing “Through the Looking Glass: A Surveillance Cabaret”. Stephen Petrilli is working with Lostwax Multimedia Dance for the second time. He has designed for Pilobolus Dance Theatre, HT Chen & Dancers, Noche Flamenca, Kun Yang Lin/Dancers, Shapiro & Smith Dance, Ailey II, Nathan Trice/Rituals and The Kevin Wynn Collection. Theatre credits include work for The Pearl Theatre Company, National Asian-American Theatre Company, and The Three Rivers Shakespeare Festival in his hometown of Pittsburgh. 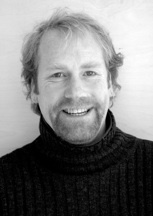 Stephen also spent five years touring as the Lighting/Sound Supervisor for Pilobolus. He has a nine year old son, Liam, and they have a really great cat named Chynno. Ali Kenner Brodsky is the artistic director of ali kenner brodsky & company (akb & co.) and is the 2014 recipient of the RI State Council on the Arts Fellowship for Choreography. She was an artist-in-residence at the Joyce SoHo in NYC, where Phyllis Lamhut mentored her. Ali dances with and acts as rehearsal director for national touring company Lostwax Multimedia Dance. She has performed with Jessica Howard, Rose Pasquarello-Beauchamp, Emma Hogarth and with 83 paperbirds-moving lab and has co-produced two a+b performances with Betsy Miller. akb & co. had their Fall 2014 season, percolate, at The Dance Complex in Cambridge, Mass. and have been invited to the Provincetown Dance Festival among other festivals around New England. Ali is an adjunct dance faculty and guest choreographer at Salve Regina University and Dean College. A Rhode Island native, Kenner Brodsky and her family now make their home in Dartmouth, Mass. Katie McNamara is a dance artist, a cook, a mother and a teacher. Katie spent her preliminary professional years in Philadelphia where she danced with Group Motion, Scrap Performance Group and Leah Stein Dance Company. During this time she also co-founded and directed the Bald Mermaids, named “best new modern dance company” by Philadelphia’s City Paper. Her work has been shown at the Philadelphia Fringe Festival, Philadelphia’s Painted Bride Art Center, the Carriage House, Galapagos Art Space, the Projekt Theatre (Dresden, Germany) as well as during the Silesian Dance Festival (Bytom, Poland). Katie has been asked to choreograph for many local universities, she currently teaches dance movement and theory at Dean College and has had a sixteen-year career as a Pilates teacher-certified through Pilates Method Alliance. She holds a BA in Dance and Anthropology from Connecticut College and an MFA in Dance from University of Wisconsin-MIlwaukee. Ali Kenner Brodsky, originally from Rhode Island, moved to NYC after receiving a BS in Dance and Psychology from Skidmore College. Ali began her choreographic studies under Debra Fernandez and Martha Myers and continued to have the great fortune of being mentored by Phyllis Lamhut, while an Artist-in-Resident at Joyce SoHo (2003-2004). While in the Big Apple, Ali’s work was shown at Joyce SoHo, Movement Research at Judson Church, Skidmore College, SWEAT (NJ), OK Harris Art Gallery, WAX, University Settlement, Dixon Place, dancenow downtown arts festival, the Dumbo Dance Festival, the former DanceSpace Center, Dance New Amesterdam, as well as The Carriage House (RI) and in Cambridge, NY. Ali had her inaugural season in her hometown Providence, Rhode Island in 2001 and has since self produced two evening-length performances at the Joyce SoHo and has been produced by the Puffin Room, NYC. Ali has collaborated with musicians Blair Wells, Trevor Exter, Morgan Packard, Erica Glyn, Eric Schwartz, Tom Abs and Richard London on original compositions for her work. Ali has had the pleasure of being a guest choreographer at both Salve Regina and Providence College. Currently she is an adjunct professor of dance at Salve Regina University and Dean College. Alexander Drapinski is a recent graduate of Dean College’s dance program where he was trained in all styles of dance including: Ballet, Modern, Tap, Jazz and Hip Hop. He was the president as well as choreographer of the Hip Hop Team “Synergy” at Dean College for 3 years and has had the honor of participating in all dance shows on campus. He plans on going to graduate school to receive his Masters in Dance Therapy, to specifically work with children with autism. Alexander has danced for 19 years, first studying at Agnes Strecker Dance Studio. He has taken part in the Melrose Youth Ballet’s production of the Nutcracker, as the Nutcracker Prince, Arabian Prince, and Snow King. Alexander currently teaches Hip Hop at Franklin Dance Workshop & Dance Carousel as well as teaches and coaches swimming lessons to four to twelve year old children. Kim Johnson is a 2008 graduate of Rhode Island College with a BA in Dance Performance. In 2004 she graduated from the Boston Dance Teachers Training Program. Kim was a recipient of the RIC dance performance Special Talent Scholarship and a 2004 recipient of the Rosemary H. Medeiros Scholarship for the Performing Arts. Throughout her four years at RIC, Kim was a member of the Dance Company. Since 2004, Kim has been a faculty member at Rosemary’s School Dance Education in Warren, Rhode Island where she teaches modern, jazz, tap, ballet and hip-hop. In 2008 Kim attended and received a scholarship to study at the Bates College Dance Festival. She has also participated in the 2009 Frazier Festival. Kim performed in the 2010 Rhode Island College Faculty/Alumni show with choreographer and RIC faculty member Olase Freeman. Most recently, Kim performed in Jamie Jewett’s BLINKING and SEVEN VEILS. Joseph Nicastro is currently a senior at Rhode Island College studying Dance Performance and Public Relations. Through the Rhode Island College Dance Company, Joe has worked with choreographers such as: Jane Comfort, Clay Taliaferro, Billy Siegenfeld, Danny Buraczeski, and Marta Renzi. Last year, Joe performed a selection from the musical Pippin at the Kennedy Center of the Performing Arts in Washington, DC under the direction of William Wilson and Angelica Vessella. He has danced with Cavanaugh Dancers and is excited to now be dancing with Lostwax Multimedia Dance. Luke Perkins – Has studied and performed with the New England Civic Ballet in Lawrence Massachusetts including roles such as The Nutcracker in “The Nutcracker” as well as The Faun in “The Enchanted Glen”. He has also studied Hip Hop at Steppin’ out Dance Academy in Kingston New Hampshire. Most recently he has been a dance major at Dean College. At Dean, Luke was the lead dancer in Dean College’s Hip Hop Company as well as the lead male dancer in the Contemporary Ballet Company. Shura Baryshnikov studied modern dance with Alison Mott, Dana Holby, and Zoe Mass Fyfe at Marlboro College in Marlboro, Vermont. There, she also studied puppetry, mask, and physical theater with Eric Bass of Sandglass Theater. Since Marlboro, Shura has developed theatrical work and performed with Steven Buescher of Workhorse Theater and Laura Munoz of Pequeno Teatro de Danza. Shura has also studied intensively with Anne Bogart and the SITI Company in New York City, training in the Viewpoints and Suzuki methods of actor training. Most recently, Shura performed as a guest artist with American Dance Legacy Institute and looks forward to her involvement with Jamie Jewett and Lostwax Productions. Amanda DelPrete studied dance at Columbia College Chicago before graduating from Rhode Island College in 2008 with a B.A. in Dance Performance. While at RIC, Amanda was able to work with many choreographers including Chris Elam, Art Bridgman/Myra Packer and Shannon Hummel. 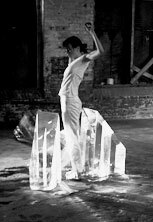 Upon graduation, Amanda’s choreography was shown at the Frazier Festival and the Indie Arts Festival in Providence, RI. She has worked with Fusionworks Dance Company since 2008, where she has performed in works by Pascal Rioult, Robert Battle, and Deb Meunier. Amanda loves teaching dance and sharing her passion with children and adults throughout Massachusetts and Rhode Island. Kim Johnson is a 2008 graduate of Rhode Island College with a BA in Dance Performance. In 2004 she graduated from the Boston Dance Teachers Training Program. Kim was a recipient of the RIC dance performance Special Talent Scholarship and a 2004 recipient of the Rosemary H. Medeiros Scholarship for the Performing Arts. Throughout her four years at RIC, Kim was a member of the Dance Company. Since 2004, Kim has been a faculty member at Rosemary’s School Dance Education in Warren, Rhode Island where she teaches modern, jazz, tap, ballet and hip-hop. In 2008 Kim attended and received a scholarship to study at the Bates College Dance Festival. She has also participated in the 2009 Frazier Festival: In Through With Around. Most recently, Kim performed in the Rhode Island College Faculty/Alumni show with choreographer and RIC faculty member Olase Freeman. Elise Nuding is originally from London, England where she studied ballet and tap growing up. She is now based in Providence, RI where she enjoys both the dance scene and urban landscape. She was introduced to modern dance at Brown University where she is currently a senior, graduating in May 2011 with a degree in Archaeology. At Brown Elise dances with Dance Extension, a modern repertory company under the direction of Julie A. Strandberg, and has performed works by Jose Limon, Paul Taylor, David Parsons, Robert Battle, Maureen Fleming and Lisa Race among others. Elise has worked with Jamie several times over the last two years and thoroughly enjoyed the experience of creating this piece. Michelle Struckholz has been studying dance since the age of four. With extensive ballet and modern dance training, she received her B.S. in Dance from James Madison University in 1997. Michelle then ventured to NYC where she studied dance with Jackie Villamil, David Dorfman, Kevin Wynn and many others, and performed with CORA. Two years later, Michelle landed and stayed in San Francisco for ten years and had the pleasure of working with Kathleen Hermesdorf and Albert Mathias of Motion Lab (now La Alternativa), Company Mecanique Dance Theater, Annie Rosenthal and Company, David Dorfman Dance, and EmSpace Dance. Michelle now resides in Providence, RI where she works as a personal fitness trainer, teaches modern dance at Motion Center, and performs with Jamie Jewett’s LOSTWAX. Meg Weeks received her dance training at the Moving Company Dance Center in Keene, NH, studying modern under Paula Aarons and ballet under Reagan Messer. She is a member of Dance Extension, a modern repertory company directed by Julie Strandberg, and has performed works by Pilobolus, Donald McKayle, David Parsons, Kanji Segawa, Liz Lerman Dance Exchange, Jose Limon, and Lisa Race. She attended the American Dance Festival in 2008, where she studied with Abby Yeager, Kurt Haworth, Lisa Race, and Ruth Andrien, and performed in her mentor Paula Aarons’s MFA thesis. She has spent time in Argentina and Brazil, where she studied tango, samba and capoeira. Meg began choreographing her own work in 2008, and since then she has produced two pieces for performance, and is in the midst of creating two more. Eun Jung Choi-Gonzalez has worked in various cities, as a performer, teacher, choreographer, videographer and interaction designer. Her graduate studies in digital media have led her to explore collaborative works with artists from different disciplines. Her work has been presented in Korea, United States and Mexico, including Danspace Project, Mexico Now, Daegue International Festival and Sexto Encuentro in Mexico. Ali Fischer, a native Kentuckian, has been dancing for the last 16 years. In 1995, after receiving a B.A. in fine arts from the University of South Florida, Ali’s dance career began in Salt Lake City, UT where she worked with Repertory Dance Theater. Since then, she has worked for numerous choreographers across the country such as Nancy McCaleb, Allyson Green, John Malashock, Stephen Brown, The Lower Left Collective, Lynne Wimmer, Lindsey and Jason Dietz Marchant, Elsa Valbuena, Eun Jung Choi, and Jamie Jewett. Ali currently resides in Queens, New York where along with making dance, she also is a professional of the healing arts using massage therapy, craniosacral therapy, and yoga to complete her movement practice. Megan Mckenna – Whether she is skipping in the park, dancing on a roof, or reading children’s novels, Megan is committed to growing her imagination. In her worlds everyone is dancing. She is grateful for the friends from whom she has learned and with whom she has shared a stage, including Monica Bill Barnes, Larry Keigwin, and Ali Fischer. She currently resides in New York City.